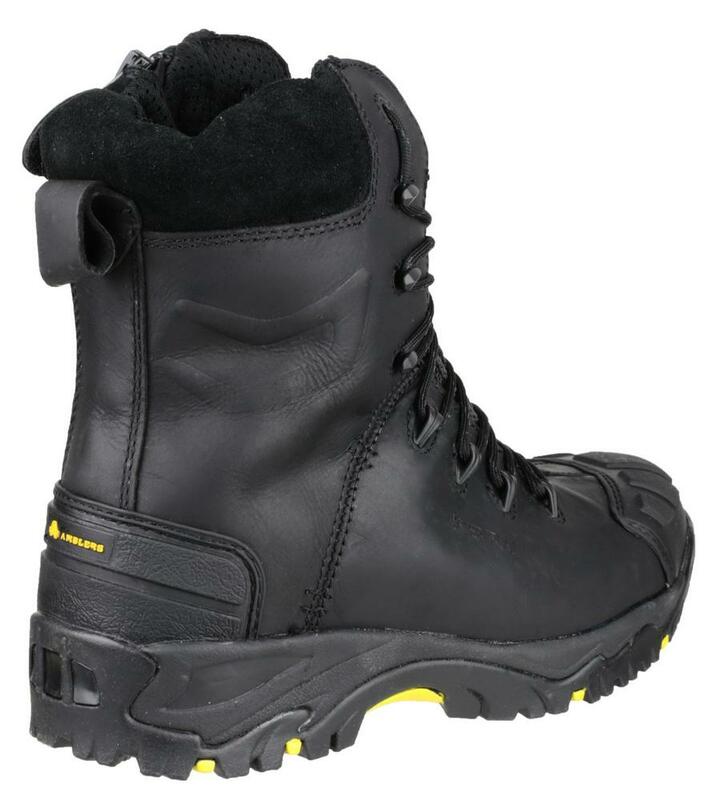 Fully waterproof high ankle cut safety boot is flexible and lightweight; provides high rated safety features and is thermal insulated to offer great performance in the harshest weather conditions. 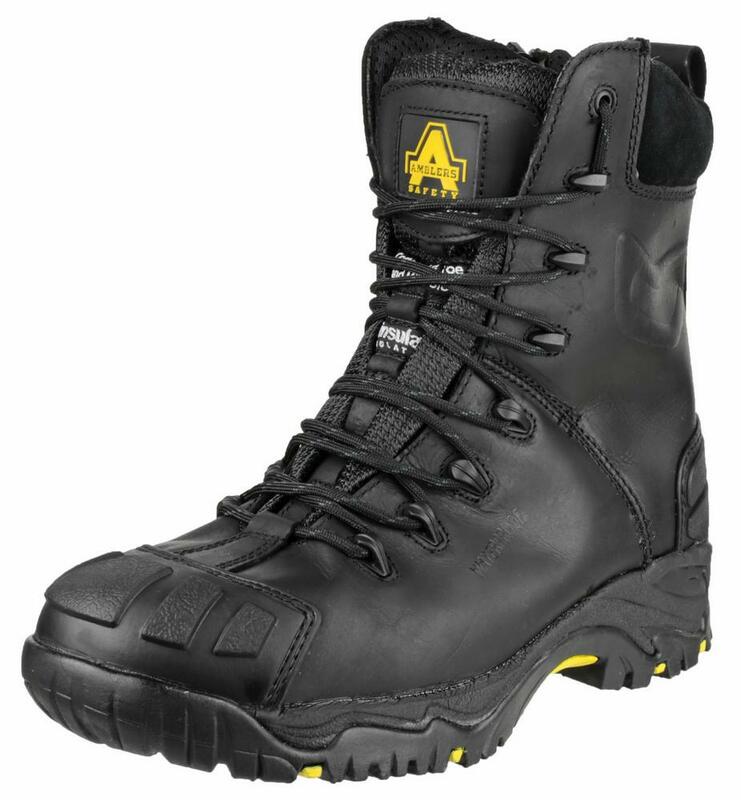 Water resistant leather upper, added ankle collar with Pull-on loop. Breathable Waterproof Membrane and Mesh Lining. 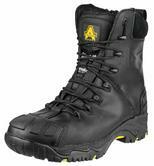 Thinsulate lining keeps feet warm in cold temperatures. Side zip and pull on Loop allows wearer to put on and remove footwear with speed and ease. 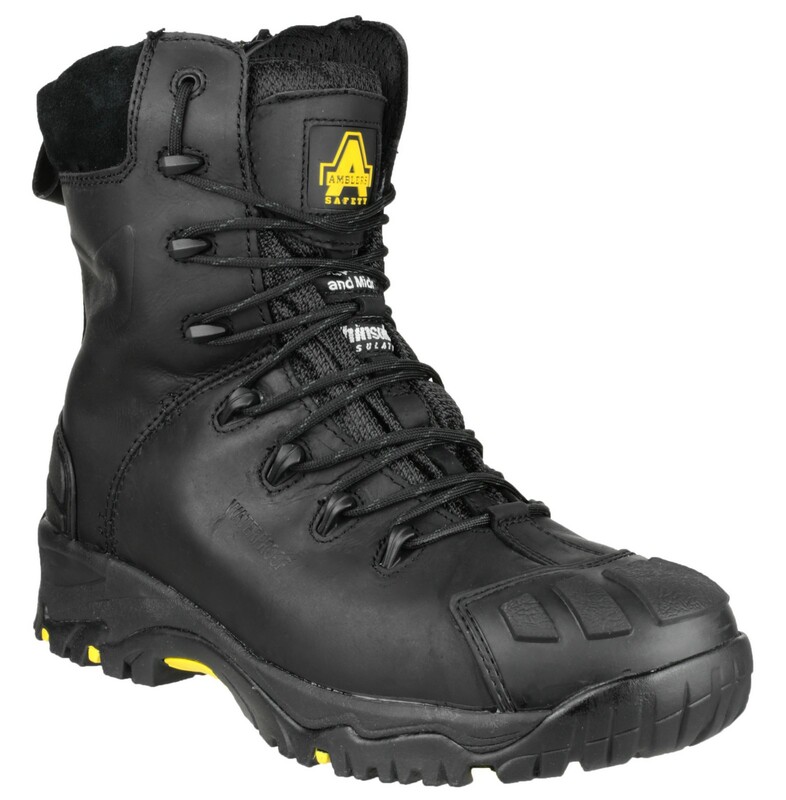 Rubber scuff cap toe and heel reinforcement for extra protection and duration. Composite toe cap protection tested to 200 joules impact and Penetration resistant composite midsole plate to 1,100 Newton. 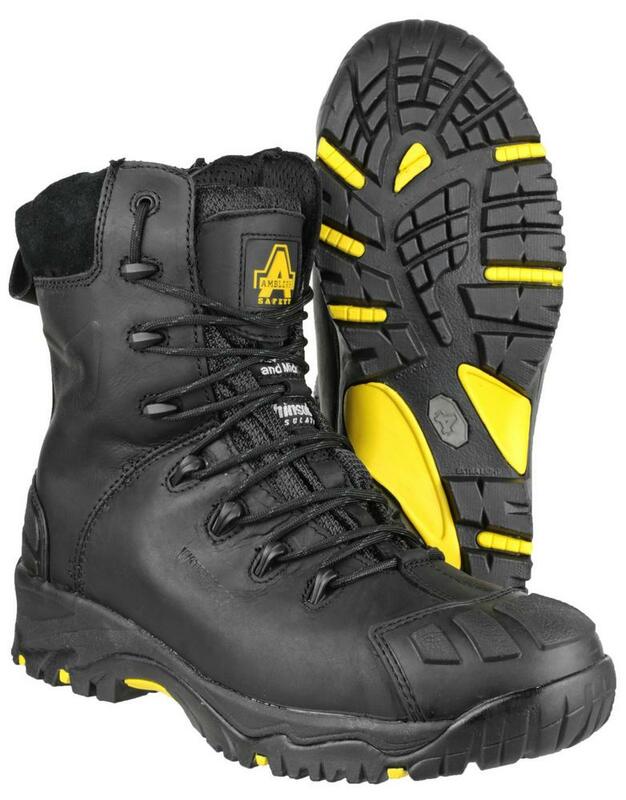 Dual Density Pylon\Rubber sole: exceptional abrasion resistance and ideal for environments where oils and solvents are used. Heat resistant to 300°C contact. Amblers FS999 Men Safety Combat Work Boots conforms to: EN ISO 20345 S3 W/P CI HRO SRC.